Built: 1978 by VEB Warnowwerft Warnemünde, Warnemünde, German Democratic Republic. Yard no 456. Main engine: six-cylinder, two-stroke Cegielski-Sulzer 6RND90M of 17,400 bhp at 122 rpm. Speed: 19.75 knots. 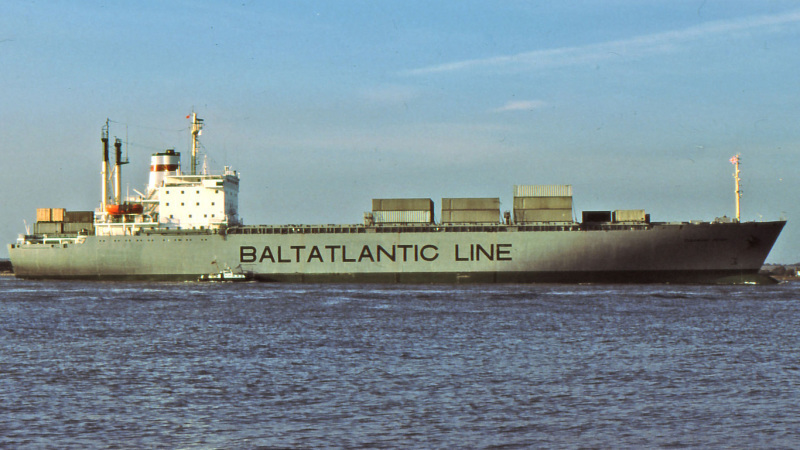 1993-TIGER BAY; 1995-OOCL PUDONG; 1996-ESTORIL; 1999-NORASIA IZMIR; 2000-KOTA SELAT; 1001- ORANIA; 2003-to breakers at Alang, India; beached 15/1.